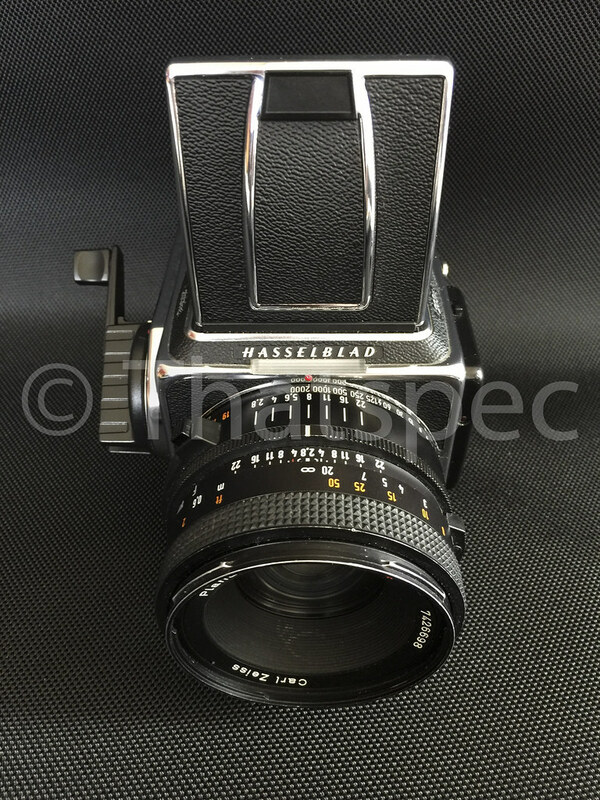 I have a very nice condition Hasselblad 203FE kit for sale, the pictures don't do it justice. Lens coatings are clean, minimal dust internally. Some anodizing loss around the hood mount tabs. 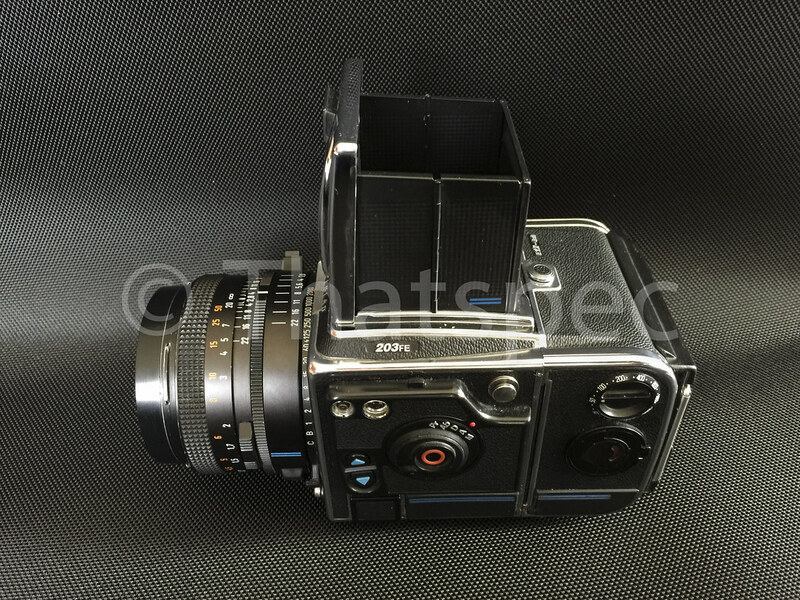 The body and finder are very clean, the E12 back has some fine scratches in the plastic at the rear. The E24 is a solid 9. 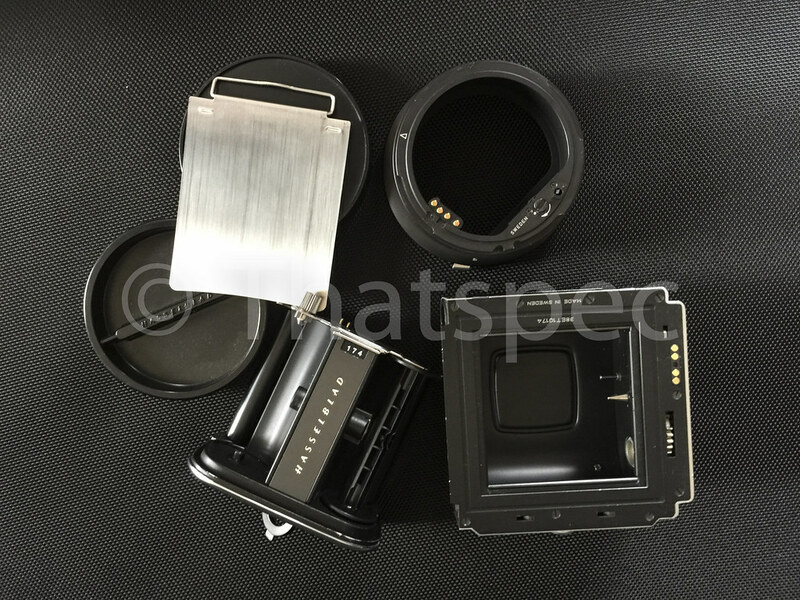 The acute matte focus screen is in perfect condition. Included in this package are just those items pictured. 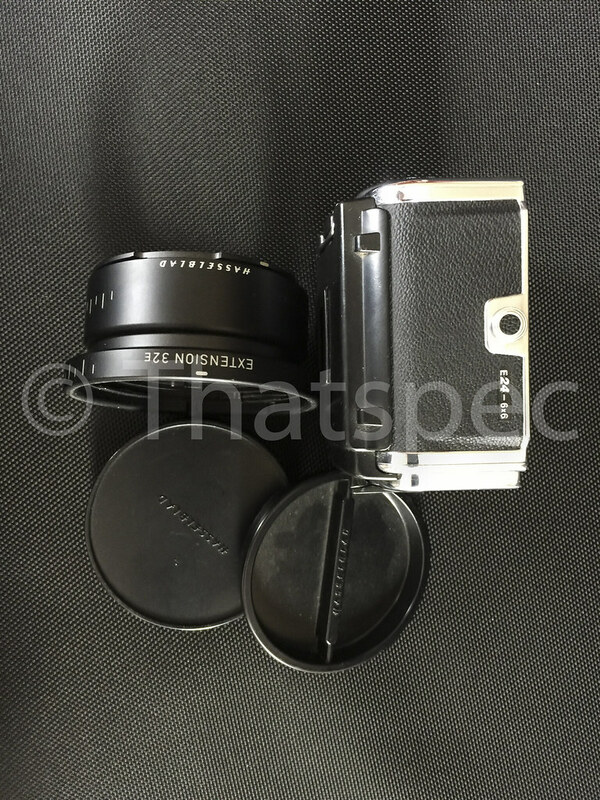 The body, the 80mm F2.8 FE lens w/ front cap, the E12 film back w/ matching serial insert, and some very nice extras. 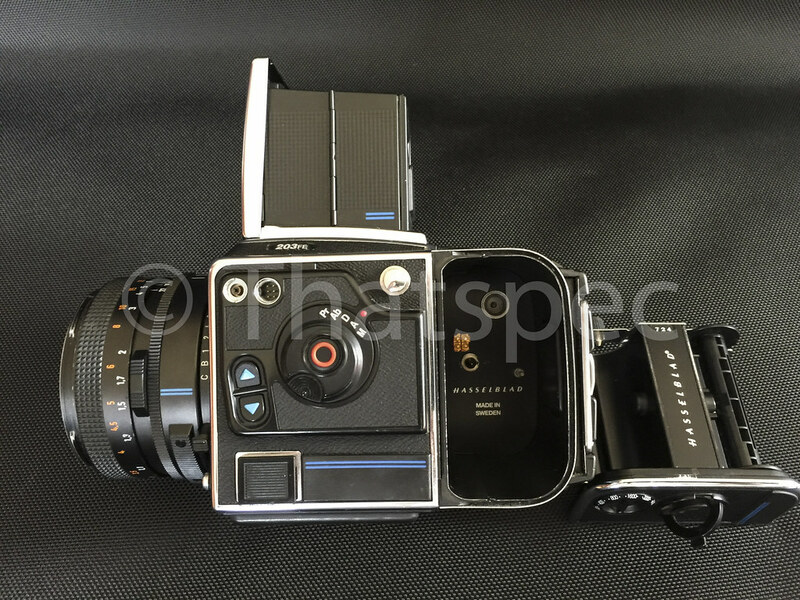 An additional E24 film back w/ matching serial insert. 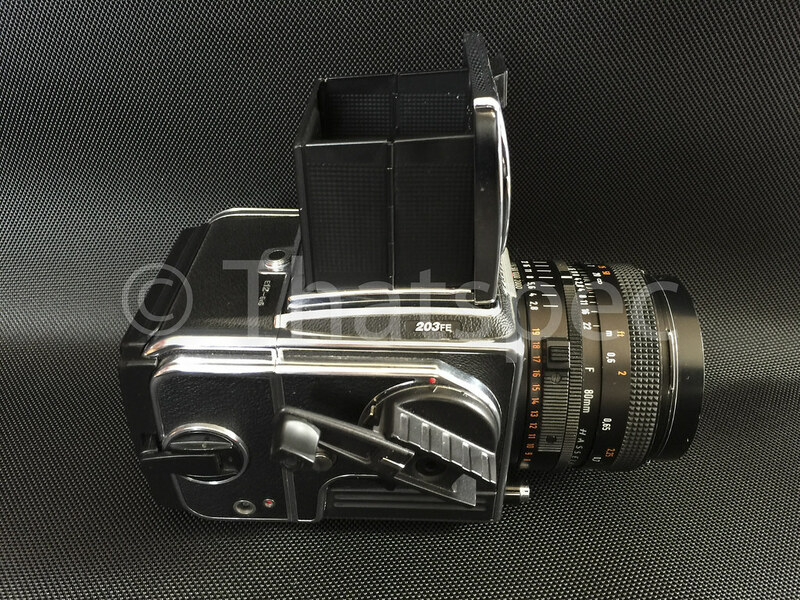 I've used this with 120 film many times, focus is perfect though you generally only get 11 frames. 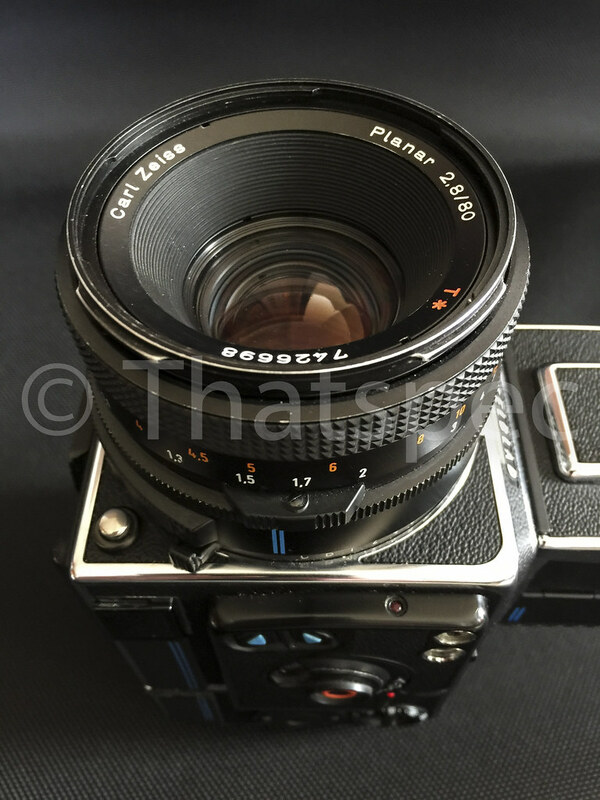 A 32mm hassy FE extension tube is included as well. both caps on the tube. I may have a box or two, have to check, no manuals though but they are easy enough to download. $2495 net for the package. Shipping from within the EU available after 3/18.